The remote control lets you control the projector from almost anywhere in the room, up to 49 feet (15 m) away. You can point it at the front or rear of the projector. 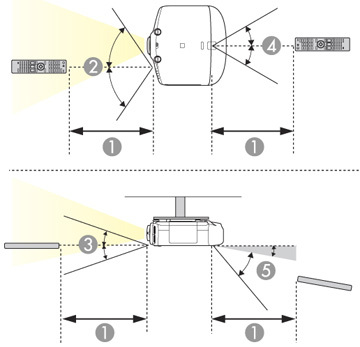 Make sure that you aim the remote control at the projector's receivers within the angles listed here.